Introducing ‘Workie’: The Department of Work and Pensions character. From left to right: Sulley, Workie, The Gruffalo. A 10 foot multi-coloured monster might not be the first thing that comes to mind when employers think about workplace pensions, however today, The Department for Work and Pensions have introduced ‘Workie’. 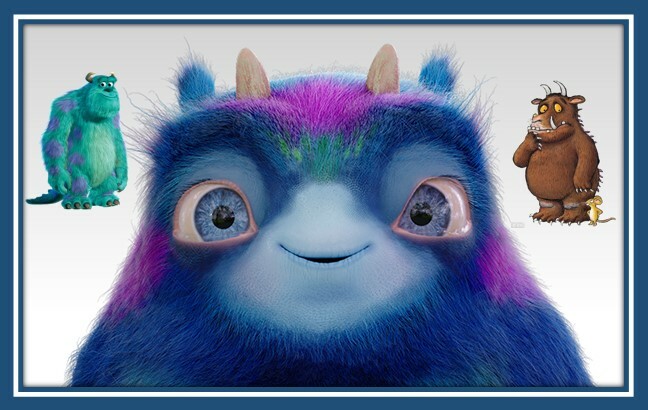 The large furry character unmistakably resembles a cross between the Gruffalo and Monsters Inc’s Sulley and represents a physical embodiment of Workplace Pensions. Much like upcoming auto-enrolment staging dates, Workie is something that cannot be ignored. Pensions Minister, Baroness Altmann mentions that behind the ‘fun and quirky campaign’ there is a ‘very serious message’. In a press release she emphasises ‘We need everyone to know they are entitled to a workplace pension – and we need all employers to understand their legal responsibility to their staff’. Auto-enrolment gives each small employer a staging date, by which they must enrol employees into a workplace pension scheme. The smallest business entities – those with 1 to 50 employees – will have a staging date between June 2015 and April 2017. New employers that set their PAYE scheme up after 1 April 2012 will have slightly longer – between 1 May 2017 and 1 February 2018. You can check your exact staging date here. Employees may choose to opt out but must first be enrolled into a compliant scheme by their employer. Only around 10% of people who are automatically enrolled are choosing to opt out, significantly fewer than was expected when the policy was first developed. Workplace pensions can understandably be a difficult problem for smaller employers. Stipendia have been dealing with auto-enrolment and helping employers comply since the regulations were introduced. It really is important that employers get it right and meet their staging dates, as fines may be implemented if missed. If you’d like help dealing with your workplace pensions, contact us by calling 0845 308 2288 or emailing enquiries@payrollsolutions.org.uk. We’d be happy to talk you through your needs or send you out an auto enrolment pack, explaining the rules and regulations in more detail. You can also visit our auto-enrolment page for a step by step guide to the workplace pension process. Will Workie be a Success? Well you certainly can’t ignore him! The planned campaign consists of radio, print, online and outdoor advertising and will run into 2016. The hashtag #DontIgnoreIt was launched by Baroness Altmann so you might expect to see that become more popular as the campaign gets into full swing. Workie will be visiting people in all sorts of work environments over the coming months, asking them not to ignore him. Tonight will be viewers’ first introduction, as he makes an appearance between Emmerdale and Coronation Street at 7.25pm.